Discussion in 'Thumpers' started by GreybeardKLR, Aug 9, 2011. Curious to hear if anyone on here has tried this windshield for their KLR? That stock screen has got to go!!! I've got a Bajaworx Dakar on my KLR650. I like it better than the stock screen. At 5'11" it pushes the air to the top of my helmet at highway speeds. No buffeting, but still quite noisy. If I lean forward or slouch down it's nice and quiet. I'm going to mess around with a spoiler or try raising the screen a bit. The noise problem is not only the screen, but the mirrors too. It reflects the airflow back onto the rider and causes uge buffeting. Dakar screen + recktangular airflow/streamline mirrors is the best way to go. you're into the white accent thing eh...you and the bike. 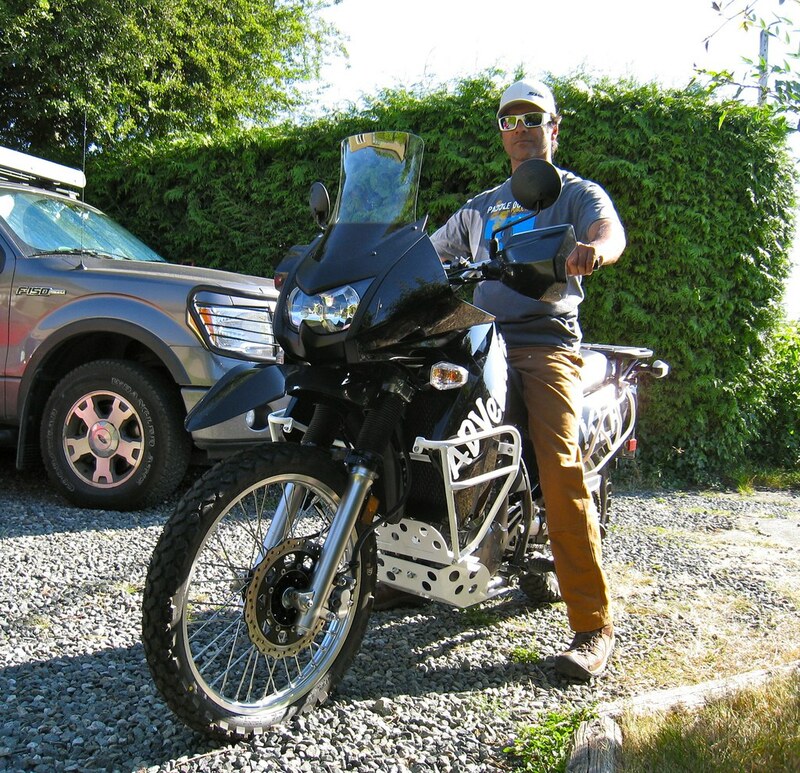 I've got the Bajaworx dakar smoke tint on mine- just did a 750 mile weekend with 400 on the freeway and loving it. 5' 10" and pushes wind right over the top of my helmet. how is the tinted shield at night? we are the same height so I was wondering are you looking over the windscreen, or thru it? how is the optics thru the shield? clear or distorted? if anyone else with this windscreen can chime in it would be much appreciated.